BANGKOK,(NNT) – Prime Minister Gen Prayut Chan-o-cha said he was pleased to learn that Thailand had been ranked the least miserable country on Bloomberg’s Misery Index. Spokesperson to the Prime Minister’s Office Lt Gen Sansern Keawkamnerd said the premier thanked related government agencies for their hard work to make Thailand the happiest country in the world. In light of their contributions, Thailand’s unemployment and inflation rates remained relatively stable over the past three years. Other nine happiest countries on the list include Singapore, Switzerland, Japan, Iceland, Taiwan, Denmark, Israel, South Korea and Hong Kong respectively. 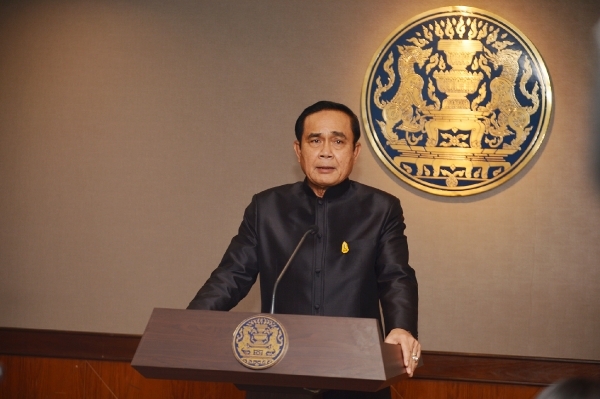 The Spokesperson added that the government will continue to improve the overall economic well-being of the nation by attracting more investments, improving migrant labor management, promoting Thai exports, and boosting domestic tourism.